Earlier this term we had a film premiere that showcased Year 13 Media Studies students’ work. Students were required to film, edit and produce their own short documentary films as part of their major project. 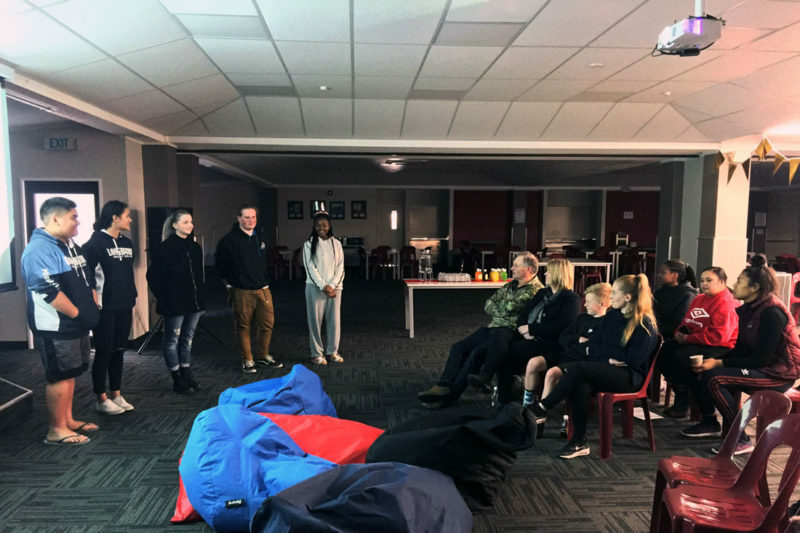 Each film needed to be 8 minutes long and included links to Longburn Adventist College, film conventions and focused on a range of topics such as beauty, identity, motherhood, visual art and life as LAC House deans. The evening featured 6 short documentaries that included various interviews of LAC students, staff and family. It also included Photography students Stop Motion video clips about consumerism. It was a great night celebrating the Year 13 students and their efforts making short film documentaries. It was also a wonderful opportunity to acknowledge and thank those who took part in each film. Thank you to everyone who came to support Hadassah Meehan, Abbey Smith, Jotham Tesese, Monique Koolarrd, Lochlan Packman and Jayden Shilton-Hart. Thank you to LAC House for hosting us and a special thank you to Sisi Panikoula and Hamiora Atua who worked behind the scenes setting up, preparing food and cleaning up after the event. We appreciate you all!